We go one-on-one with the creators of Pixar's still cute short that plays in front of "Finding Dory"
Before you go swimming back in the ocean with Dory and her friends, you’ll first have to meet Piper. Piper is a sandpiper, a bird species that dwells near shores of the oceans. She also happens to be the cute main character of the new Pixar short that plays in front of “Finding Dory”. The term cute is an understatement for so many who saw the first image of Piper not too long ago (link to first look story). While people have yet to see the entire short, did the creators want to take our attention on a bad story? They don’t think so. “It’s nothing new to us, but story, story, story,” said “Piper” director Allen Barillaro to me in our one-on-one interview. “Honest storytelling comes from our own experiences as people.” For Barillaro, his story came from observations from his past beach trips. What he saw were those sandpipers and how they moved and reacted to water. He only saw them as characters who would ultimately tell his story. Barillaro stressed that the design of those characters should support the story. 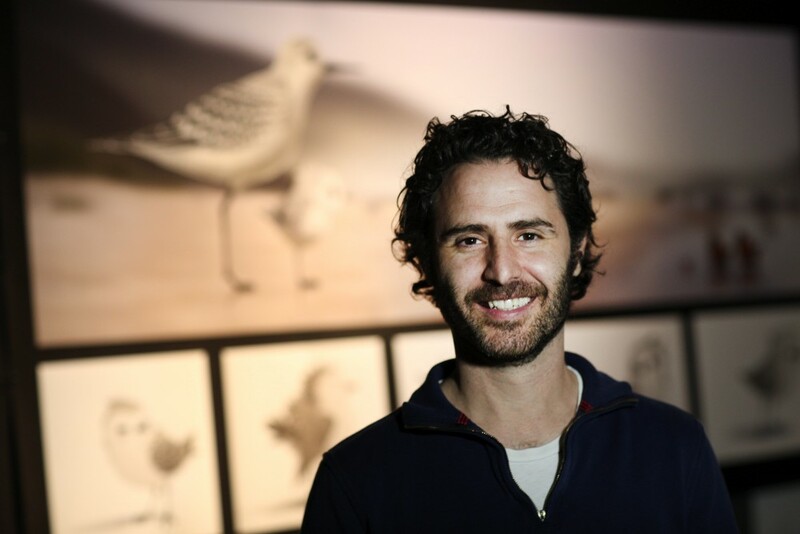 The design team worked with Barillaro who brought back hundreds of media of sandpipers he found while on the famous Pixar “research” trips to Northern California beaches. Together with new visual effects technology the team created (which tends to happen as tests for potentially use in features later), Piper was born with 4 million individual feathers with each one collectively making the cute, storytelling bird. Barillaro and Sondheimer hope that audiences identify and have a new-found appreciation for the cute sandpipers through their story. But like Dory, they said you should appreciate them in different ways instead of taking one for yourself.